Russian language and culture charity launches in Slough. A non-profit Russian center dedicated to the study of Russian language and culture has been launched in Slough, west of London. The Tsarskoye Selo Educational Center is named after the imperial Russian lyceum near St. Petersburg where poet Alexander Pushkin studied. According to the UK's Office for National Statistics, based on a recent census, 42,000 Russian citizens are resident in Great Britain. The number of those born in Russia and living in Britain is between 150,000-300,000, according to available sources. Evgeniya Gribova, center head, said that despite such a large native diaspora, the UK still lacked a Russian cultural centre. Most Russian children living in the country tend to use English as their first language, she said. 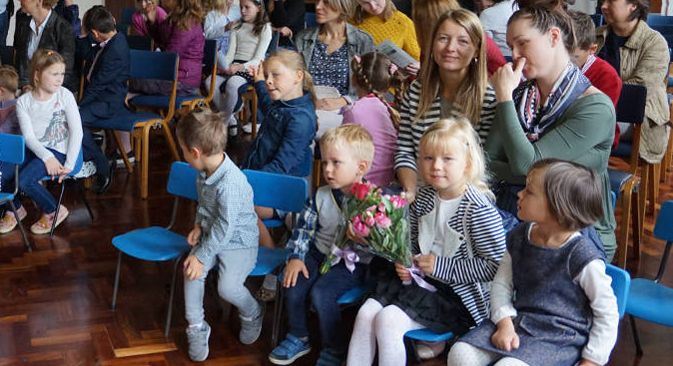 "The center will specialize not only in helping children of different ages study the Russian language, but will also have a cultural-educational role," Gribova added. The center will also teach history, Russian culture, regional geography and mathematics. Starting in October it will also offer courses in choreography, painting, voice and acting.